If you're searching for a sign that the weather should start to warm up a quick look at Soundboard should suffice—to me nothing says "summer is coming" quite like an increasingly packed concert calendar, and this weekend has plenty of live music to offer all over town. Tonight there's Mindless Self Indulgence at House of Blues and Lady Lamb the Beekeeper at Metro. Tomorrow night you can check out Pamphleteers at Hideout or Against Me!, Laura Stevenson, and Cheap Girls at Durty Nellie's. On Saturday there's Taking Back Sunday and the Used at Concord Music Hall, and Carcass and Gorguts at House of Blues. Sunday night you can see Spray Paint at Empty Bottle or Itzhak Perlman & Rohan De Silva at Civic Opera House. As always head to Soundboard for even more show offerings for the entire weekend, and read on for some picks from Reader critics. "On the recent two-CD set Motion & Connected Works (Thrill Jockey), Brooklyn multi-instrumentalist Koen Holtkamp inundates listeners with his vision of post-kosmische bliss, collecting in one epic package the new album Motion and three previously vinyl-only releases dating back to 2008," writes Peter Margasak. "Holtkamp is best known as half of instrumental duoMountains, in which he and Brendon Anderegg have spent more than a decade finessing a mixture of haunting ambience and pulsing minimalism, folding a rich variety of acoustic and electric textures into a hypnotizing whole." I've been a fan of local psych-pop project Netherfriends since main man Shawn Rosenblatt worked on his 50 Songs 50 States project, and I've been stuck on his recent self-released P3ACE: "Its catchy lava-lamp jams get their shape and energy from boom-bap beats, so that much of P3ACE bangs like the instrumental side of a hip-hop single—Rosenblatt frequently collaborates with local MCs, and last year he released a mixtape with some of them called New CHI-t. Shimmering guitars provide the album with a sunny, uplifting sparkle, and on the killer 'Joey Vision' they make Rosenblatt’s angsty lyrics about his career troubles sound hopeful and even triumphant." 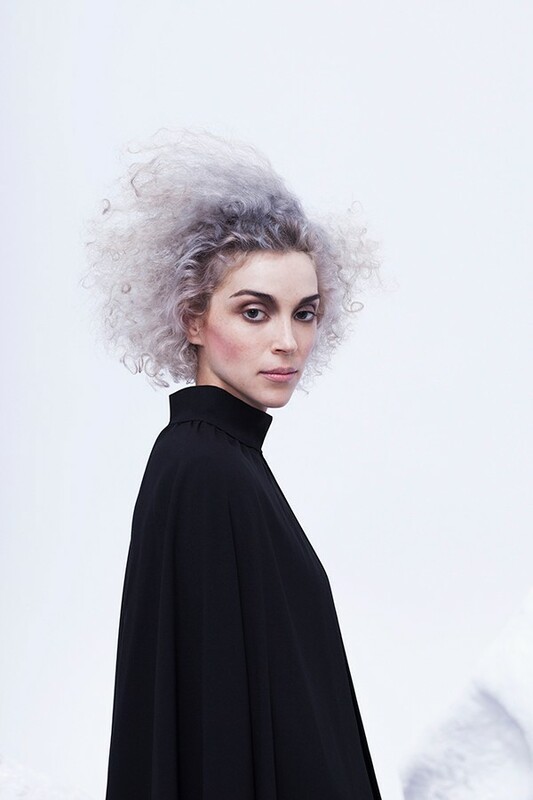 "Throughout her eight years as St. Vincent, Annie Clark has been a visionary front woman and bandleader," writes Kevin Warwick. "She's never shied away from wielding her guitar as a weapon of noise, not just an instrument of melody, and she's grown bolder and more adventurous with each album, sharpening her quirky, off-center indie-rock sound as well as her compelling image—one that's now evolved into the almost unfuckwithable aura of an art-rock avatar from outer space. On her new self-titled fourth album (her first for a major label, in this case on Loma Vista/Republic), Clark oozes power—made visible in cover art that depicts her at her most futuristically regal, her eccentric hairdo perfectly groomed, fixing the onlooker with an 'I dare you' stare. It’s her most polished, best-produced record by far—and her weirdest." "Ever since Eleventh Dream Day turned their backs on major-label deals and the hard-touring life in 1993, they’ve been demonstrating the wisdom of only doing something when you're good and ready," writes Bill Meyer. "Sometimes that's meant they've booked just a couple shows a year or waited six years between albums, but whenever they did play, you could be sure they really wanted to—and the fire and soul of their performances proved it. Lately, though, Eleventh Dream Day have been speeding up a bit. Three years after their previous long player, they've written ten new songs, and to tighten them up they're pursuing the same strategy that made 2011's Riot Now! (Thrill Jockey) their best album since the mid-90s."